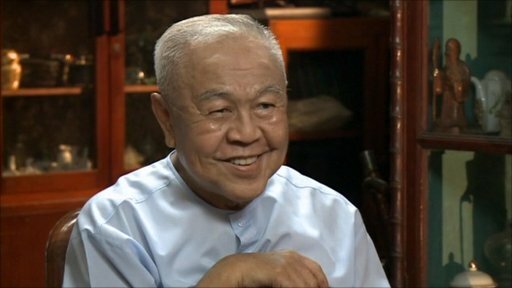 Sulak Sivaraksa was born in 1933 and educated in Britain before returning to Thailand in 1961 to be a lecturer at Thammasat and Chulalongkorn universities. In 1963 he founded and for six years edited the Social Science Review, which soon became the most influential publication in Thailand. According to several testimonies, the Review played a crucial role in awakening the student awareness that led to the overthrow of the military regime in 1973. Concern for democracy, human rights and accountable government, and the ability to inspire thousands of others in many different countries with such concern, have been a central strand in Sivaraksa's life-work. Recently he has given support to Burmese refugees in Thailand, being largely responsible for the famous Jungle University for fleeing Burmese students. Along with his work with students has gone Sivaraksa's leading role in the mobilisation of Thai civil society. He is credited with starting the country's indigenous NGO movement through his creation of a string of social welfare and development organisations rooted in different aspects of Thai society. Running through these organisations are two principal visions, reflected in (i) a rejection of Western consumerist models of development in favour of an approach growing out of Thai (or, more generally, indigenous) culture; and (ii) an emphasis on the importance of the spiritual and religious dimension of human life, rooted in his own deep Buddhist sensibility. Through his prolific writings and speeches, at home and abroad, as well as through his activism and organisational initiatives, Sivaraksa's concept of development has been of great influence worldwide. His social activism has repeatedly brought him into conflict with the authorities in Thailand. In 1976 he fled abroad from an arrest warrant during the country's bloodiest coup, and in 1984 his book Unmasking Thai Society landed him in court on a charge of lèse majesté. After a four-month trial the King intervened to have the charge withdrawn, but in 1991 the military junta levelled the same charge against him following a speech at the university. He was finally acquitted in 1995. In the meantime, Sivaraksa has developed two new initiatives. One--an international network on 'Alternatives to Consumerism'--aims to record sustainable alternatives to the Western consumer model with different spiritual motivations. The other--the Spirit in Education Movement-- is focused on the development of a new college in Thailand to explore an alternative approach to mainstream education. 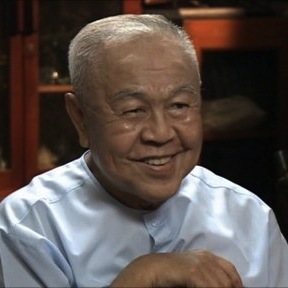 In 1998, Sulak Sivaraksa received the UNPO Human Rights Award, in 2001 the Millenium Gandhi Award, in 2011 the Niwano Peace Prize, and the Right Livelihood Award 1995.